Are you looking for ways to create multigenerational connections and friendships throughout your congregation? Consider recruiting your youth or young adult small groups to help build your next Church Directory. Ask them to take the photos. Instead of hiring a professional, you may be surprised to find some talented photographers in your youth group. With Instagram, Facebook and other social media being mainly image-driven, kids are becoming accomplished at taking fantastic photos with their mobile devices. And with a young person behind the camera, you’ll find most members relax and the results are very natural. Use them to type or enter data. Have you seen how fast some young people type? Even if you’re not sure about having them access your online program, you can get them to type into an Excel or Word document, so all you have to do is copy and paste or use your program’s import feature. Have them host a directory dinner. Depending on the size of your youth group and church, you could create a night to have the youth invite everyone to a Directory Dinner. 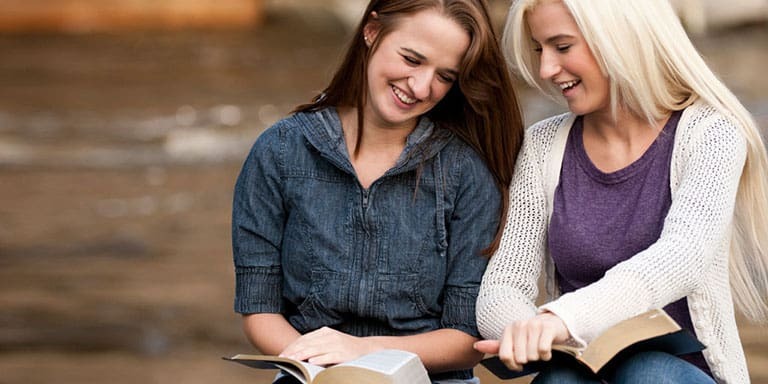 The youth group could be in charge of taking church members’ photos and gathering their information, as well as providing a fellowship dinner. This could be a fun and informal way to involve the entire church in building your Church Directory. A directory dinner benefit could help offset the costs of the directory or any youth group missions or activities in the future. You could also do this at the end of the directory process to announce the new directory or to help members get into their online directory apps. Ask them to design cover images and activity pages. When you are trying to come up with your cover photo or additional images throughout the directory, have your youth group create scrapbook pages or use one of their apps to design a fellowship page online. Simply give them photos or ask them to provide images of a day or event and create an attractive page to feature in your directory. Youngsters could even paint something beautiful that could be scanned and featured on the front or back of your next Church Directory. If using an online program, look for the ability to add a custom page or PDF to make the process even easier. Have them host a help desk for mobile apps. This may be better suited for one or two of your older youth or young adult members. As some church members may struggle with the transition to an online directory, you may find it beneficial to ask someone to create a “help desk” to assist them with getting online. They could go through logging into the member app with a young person at their side, instructing them step by step. The young person could also show them how to navigate the directory, and how to call or search for a member within the app. All these are great ways to encourage your youth and young adults to become more involved in your church while giving them a chance to know more of the members outside of their friend circle.